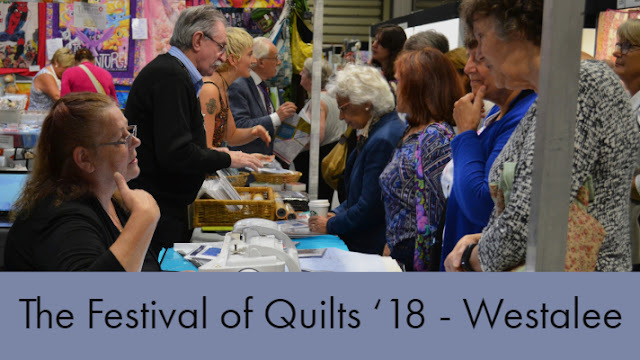 It was lovely to see so many familiar faces at the Malvern Show - because its quite local there are many customers who we see at the shop and at the NEC Festival of Quilts. The visitors also included Lynne who I did Tai Chi classes with 10 or more years ago (time just flies where you're doing Crouching Tiger impressions). 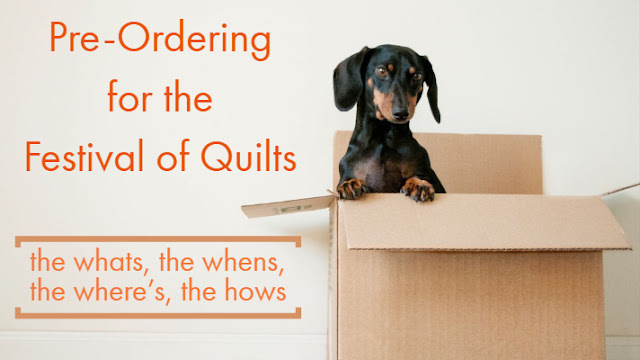 She began quilting and with her sister, launched an information website for quilters called Quilters Domain - a great resource for people looking for Events listings - well worth checking out to see if there are any local shows either where you live, where you're visiting or where you might want to make a detour to! We had a great show and the star of the show for us was our new Longarm Quilting Machine - the HandiQuilter Avante 18". Some customers became quite emotional when they realised that this fully EU compliant longarm machine could be theirs! 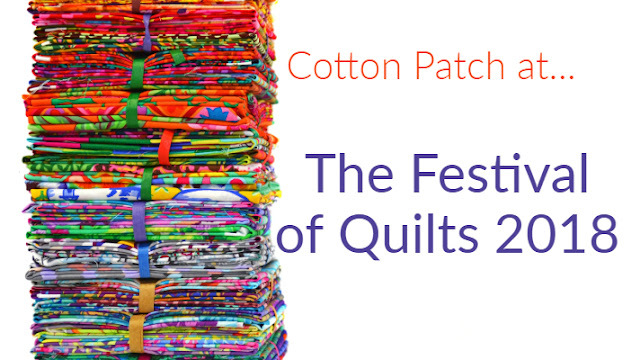 All those quilts that need quilting (and all that basting that won't need to be done!) with all that creativity that could be....created! So many quilters have been asking for a long arm quilting machine over the years. We visit Houston and see these wonderful machines but unfortunately in order for us to sell a sewing machine there are a lot of EU regulations that had to be fulfilled before that could happen. Now it is available exclusively from The Cotton Patch! 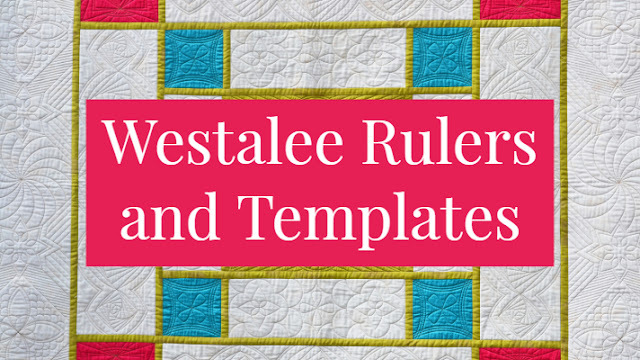 Not only does it have 15" of open quilting space allowing you to quilt from crib to king with ease but it also has stitch regulation ensuring that you get a consistent stitch from 4 stitches-per-inch up to 18 stitches-per-inch. It features colour touch-screens at front and back, laser lights and comes with full warranty and customer service in the UK. Its so new we haven't got it on our website yet but here are a few photos of the HQ Avante 18" Quilting Machine on the stand at Malvern. You can also read about the features and benefits of the HQ18 Avante (TM) on the HandiQuilter website. If you would like more information and pricing please just give us a call on 0121 702 2840. Thanks for the links to YouTube! I'll do another post and add that so people can see it in action.